I love a bit of patriotic theme so here I used the same Clarity Stamp (inspired to buy this by my crafting buddy NannieB from docrafts who made a wonderful card with hers) I started off by scratching, poking and painting and grunging my cardboard backing. 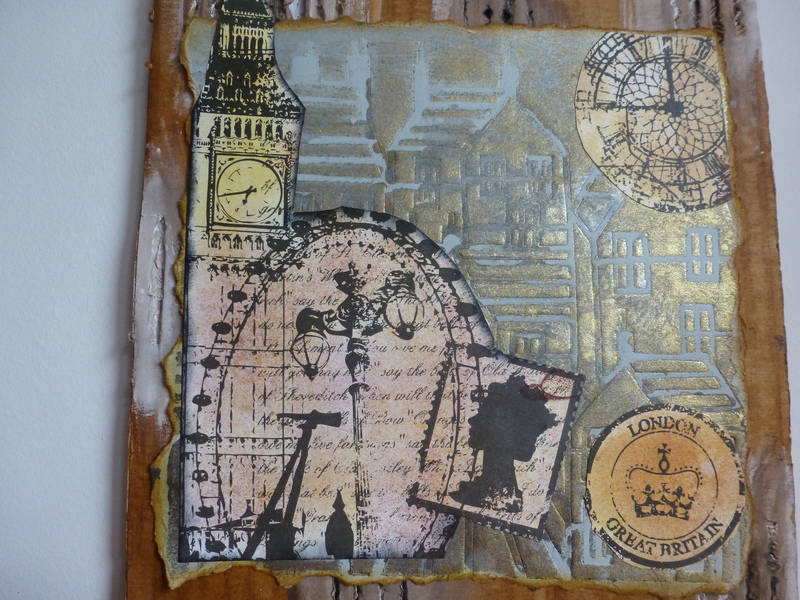 Then I embossed the houses onto grey card, sprayed it gold. 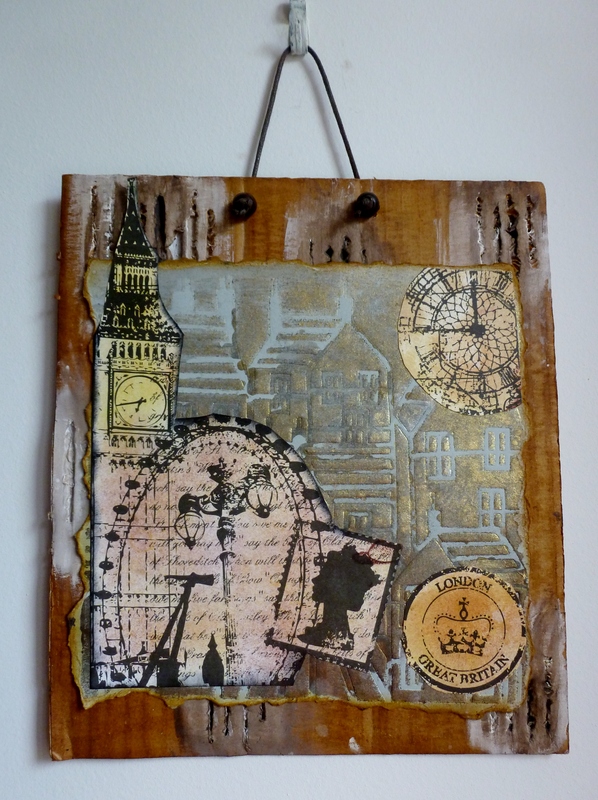 Added clock face and Big Ben, etc from a Papermania paper.